TXANTREA UDC KKE 5 - 2 OBERENA C.D. ALAVES DEPORTIVO S.A.D. 2 - 1 AURRERA DE VITORIA C.D. INDARTSU C. 2 - 3 SAN JUAN A.D.
DANOK BAT CLUB DE FIKA 3 - 1 CULTURAL DEPORTIVA DURANGO S.
BARAKALDO C.F. 3 - 2 COMILLAS C.F. REAL SOCIEDAD S.A.D. 2 - 0 ALAVES DEPORTIVO S.A.D. SAN JUAN A.D. 2 - 1 OSASUNA C.A. CULTURAL DEPORTIVA DURANGO S. 2 - 3 INDARTSU C.
COMILLAS C.F. 0 - 0 EIBAR S.A.D. NUMANCIA DE SORIA C.D. SAD 1 - 1 BARAKALDO C.F. OBERENA C.D. 1 - 1 AURRERA DE VITORIA C.D. ALAVES DEPORTIVO S.A.D. 1 - 0 SAN JUAN A.D.
OSASUNA C.A. 1 - 1 CULTURAL DEPORTIVA DURANGO S.
DANOK BAT CLUB DE FIKA 1 - 3 COMILLAS C.F. ATHLETIC CLUB 1 - 1 BARAKALDO C.F. REAL SOCIEDAD S.A.D. 1 - 0 OBERENA C.D. CULTURAL DEPORTIVA DURANGO S. 1 - 2 ALAVES DEPORTIVO S.A.D. ANTIGUOKO K.E. 1 - 2 OSASUNA C.A. COMILLAS C.F. 0 - 0 INDARTSU C.
BARAKALDO C.F. 0 - 3 EIBAR S.A.D. AURRERA DE VITORIA C.D. 2 - 1 REAL SOCIEDAD S.A.D. OBERENA C.D. 1 - 1 SAN JUAN A.D.
TXANTREA UDC KKE 1 - 1 CULTURAL DEPORTIVA DURANGO S.
ALAVES DEPORTIVO S.A.D. 1 - 3 ANTIGUOKO K.E. OSASUNA C.A. 3 - 0 COMILLAS C.F. DANOK BAT CLUB DE FIKA 0 - 1 BARAKALDO C.F. SAN JUAN A.D. 1 - 0 AURRERA DE VITORIA C.D. CULTURAL DEPORTIVA DURANGO S. 0 - 2 OBERENA C.D. COMILLAS C.F. 1 - 3 ALAVES DEPORTIVO S.A.D. BARAKALDO C.F. 1 - 0 INDARTSU C.
REAL SOCIEDAD S.A.D. 2 - 1 SAN JUAN A.D.
AURRERA DE VITORIA C.D. 1 - 1 CULTURAL DEPORTIVA DURANGO S.
OBERENA C.D. 1 - 1 ANTIGUOKO K.E. TXANTREA UDC KKE 2 - 2 COMILLAS C.F. OSASUNA C.A. 3 - 0 BARAKALDO C.F. INDARTSU C. 2 - 2 EIBAR S.A.D. CULTURAL DEPORTIVA DURANGO S. 2 - 1 REAL SOCIEDAD S.A.D. COMILLAS C.F. 2 - 2 OBERENA C.D. BARAKALDO C.F. 1 - 1 ALAVES DEPORTIVO S.A.D. EIBAR S.A.D. 1 - 1 OSASUNA C.A. DANOK BAT CLUB DE FIKA 3 - 2 INDARTSU C.
SAN JUAN A.D. 2 - 0 CULTURAL DEPORTIVA DURANGO S.
REAL SOCIEDAD S.A.D. 2 - 2 ANTIGUOKO K.E. AURRERA DE VITORIA C.D. 2 - 0 COMILLAS C.F. TXANTREA UDC KKE 3 - 2 BARAKALDO C.F. ALAVES DEPORTIVO S.A.D. 3 - 0 EIBAR S.A.D. ATHLETIC CLUB 7 - 2 INDARTSU C.
ANTIGUOKO K.E. 3 - 1 SAN JUAN A.D.
COMILLAS C.F. 0 - 4 REAL SOCIEDAD S.A.D. NUMANCIA DE SORIA C.D. SAD 1 - 0 AURRERA DE VITORIA C.D. BARAKALDO C.F. 0 - 3 OBERENA C.D. DANOK BAT CLUB DE FIKA 2 - 0 ALAVES DEPORTIVO S.A.D. INDARTSU C. 0 - 3 OSASUNA C.A. CULTURAL DEPORTIVA DURANGO S. 0 - 3 ANTIGUOKO K.E. AURRERA DE VITORIA C.D. 1 - 1 BARAKALDO C.F. ALAVES DEPORTIVO S.A.D. 2 - 2 INDARTSU C.
ATHLETIC CLUB 3 - 2 OSASUNA C.A. COMILLAS C.F. 1 - 0 CULTURAL DEPORTIVA DURANGO S.
NUMANCIA DE SORIA C.D. 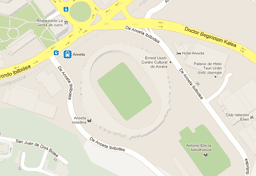 SAD 1 - 2 SAN JUAN A.D.
BARAKALDO C.F. 4 - 2 REAL SOCIEDAD S.A.D. DANOK BAT CLUB DE FIKA 5 - 0 OBERENA C.D. OSASUNA C.A. 3 - 0 ALAVES DEPORTIVO S.A.D. ANTIGUOKO K.E. 3 - 0 COMILLAS C.F. SAN JUAN A.D. 0 - 2 BARAKALDO C.F. REAL SOCIEDAD S.A.D. 0 - 1 EIBAR S.A.D. OBERENA C.D. 8 - 2 INDARTSU C.
TXANTREA UDC KKE 2 - 2 OSASUNA C.A. ATHLETIC CLUB 4 - 0 COMILLAS C.F. NUMANCIA DE SORIA C.D. SAD 4 - 2 ANTIGUOKO K.E. BARAKALDO C.F. 2 - 1 CULTURAL DEPORTIVA DURANGO S.
INDARTSU C. 0 - 2 AURRERA DE VITORIA C.D. REAL SOCIEDAD S.A.D. 3 - 1 INDARTSU C.
AURRERA DE VITORIA C.D. 1 - 1 OSASUNA C.A. OBERENA C.D. 0 - 1 ALAVES DEPORTIVO S.A.D. AURRERA DE VITORIA C.D. 0 - 2 ALAVES DEPORTIVO S.A.D. REAL SOCIEDAD S.A.D. 4 - 1 OSASUNA C.A. SAN JUAN A.D. 2 - 0 INDARTSU C.
COMILLAS C.F. 1 - 1 BARAKALDO C.F. ATHLETIC CLUB 3 - 3 OBERENA C.D. TXANTREA UDC KKE 0 - 0 AURRERA DE VITORIA C.D. INDARTSU C. 1 - 3 CULTURAL DEPORTIVA DURANGO S.
DANOK BAT CLUB DE FIKA 1 - 3 ANTIGUOKO K.E. EIBAR S.A.D. 3 - 1 COMILLAS C.F. AURRERA DE VITORIA C.D. 0 - 2 OBERENA C.D. SAN JUAN A.D. 2 - 2 ALAVES DEPORTIVO S.A.D. CULTURAL DEPORTIVA DURANGO S. 1 - 1 OSASUNA C.A. ANTIGUOKO K.E. 4 - 0 INDARTSU C.
NUMANCIA DE SORIA C.D. SAD 1 - 1 EIBAR S.A.D. OBERENA C.D. 0 - 0 REAL SOCIEDAD S.A.D. ALAVES DEPORTIVO S.A.D. 3 - 0 CULTURAL DEPORTIVA DURANGO S.
INDARTSU C. 0 - 3 COMILLAS C.F. REAL SOCIEDAD S.A.D. 2 - 1 AURRERA DE VITORIA C.D. SAN JUAN A.D. 2 - 3 OBERENA C.D. ANTIGUOKO K.E. 2 - 0 ALAVES DEPORTIVO S.A.D. COMILLAS C.F. 2 - 3 OSASUNA C.A. NUMANCIA DE SORIA C.D. SAD 2 - 1 INDARTSU C.
AURRERA DE VITORIA C.D. 1 - 1 SAN JUAN A.D.
OBERENA C.D. 1 - 0 CULTURAL DEPORTIVA DURANGO S.
TXANTREA UDC KKE 0 - 3 ANTIGUOKO K.E. ALAVES DEPORTIVO S.A.D. 2 - 0 COMILLAS C.F. INDARTSU C. 4 - 0 BARAKALDO C.F. SAN JUAN A.D. 0 - 0 REAL SOCIEDAD S.A.D. CULTURAL DEPORTIVA DURANGO S. 2 - 3 AURRERA DE VITORIA C.D. NUMANCIA DE SORIA C.D. SAD 2 - 1 ALAVES DEPORTIVO S.A.D. BARAKALDO C.F. 3 - 3 OSASUNA C.A. EIBAR S.A.D. 2 - 1 INDARTSU C.
ATHLETIC CLUB 0 - 0 SAN JUAN A.D.
REAL SOCIEDAD S.A.D. 3 - 2 CULTURAL DEPORTIVA DURANGO S.
OBERENA C.D. 1 - 0 COMILLAS C.F. ALAVES DEPORTIVO S.A.D. 4 - 1 BARAKALDO C.F. CULTURAL DEPORTIVA DURANGO S. 2 - 2 SAN JUAN A.D.
ANTIGUOKO K.E. 3 - 0 REAL SOCIEDAD S.A.D. COMILLAS C.F. 0 - 1 AURRERA DE VITORIA C.D. NUMANCIA DE SORIA C.D. SAD 0 - 1 OBERENA C.D. EIBAR S.A.D. 1 - 1 ALAVES DEPORTIVO S.A.D. DANOK BAT CLUB DE FIKA 2 - 0 OSASUNA C.A. ATHLETIC CLUB 3 - 0 CULTURAL DEPORTIVA DURANGO S.
SAN JUAN A.D. 1 - 2 ANTIGUOKO K.E. REAL SOCIEDAD S.A.D. 5 - 0 COMILLAS C.F. OBERENA C.D. 0 - 2 BARAKALDO C.F. OSASUNA C.A. 5 - 0 INDARTSU C.
ANTIGUOKO K.E. 2 - 0 CULTURAL DEPORTIVA DURANGO S.
COMILLAS C.F. 1 - 2 SAN JUAN A.D.
NUMANCIA DE SORIA C.D. SAD 0 - 1 REAL SOCIEDAD S.A.D. BARAKALDO C.F. 1 - 0 AURRERA DE VITORIA C.D. INDARTSU C. 1 - 2 ALAVES DEPORTIVO S.A.D. ATHLETIC CLUB 5 - 0 ANTIGUOKO K.E. CULTURAL DEPORTIVA DURANGO S. 1 - 1 COMILLAS C.F. AURRERA DE VITORIA C.D. 3 - 1 EIBAR S.A.D. TXANTREA UDC KKE 4 - 0 INDARTSU C.
ALAVES DEPORTIVO S.A.D. 1 - 2 OSASUNA C.A. COMILLAS C.F. 0 - 3 ANTIGUOKO K.E. NUMANCIA DE SORIA C.D. SAD 1 - 2 CULTURAL DEPORTIVA DURANGO S.
BARAKALDO C.F. 1 - 4 SAN JUAN A.D.
DANOK BAT CLUB DE FIKA 0 - 0 AURRERA DE VITORIA C.D. INDARTSU C. 3 - 4 OBERENA C.D. CULTURAL DEPORTIVA DURANGO S. 2 - 3 BARAKALDO C.F. AURRERA DE VITORIA C.D. 4 - 0 INDARTSU C.
OBERENA C.D. 0 - 1 OSASUNA C.A. TXANTREA UDC KKE 3 - 2 ALAVES DEPORTIVO S.A.D. NUMANCIA DE SORIA C.D. SAD 2 - 2 COMILLAS C.F. EIBAR S.A.D. 3 - 0 CULTURAL DEPORTIVA DURANGO S.
DANOK BAT CLUB DE FIKA 8 - 1 SAN JUAN A.D.
INDARTSU C. 0 - 1 REAL SOCIEDAD S.A.D. OSASUNA C.A. 0 - 1 AURRERA DE VITORIA C.D. ALAVES DEPORTIVO S.A.D. 2 - 4 OBERENA C.D.